Despite being over 3,000 miles away, the Taoiseach will be enjoying the opportunity to savour the very best of Irish beef in Washington DC this week in the lead up to St Patrick’s Day. In accordance with the custom, Leo Varadkar will visit the President of the United States, Donald Trump, in the White House, but not before taking part in a number of key events. Mr Varadkar will tonight be among more than 700 guests that will be served Kepak’s Celtic Beef Company tenderloin steak at The Ireland Funds 26th national Gala 2018 in Washington DC. The prestigious event will be held tonight at the famous National Building Museum to commemorate the 20th anniversary of the Good Friday Agreement. Celtic Beef Company is the first Irish retail brand to be served a The Ireland Funds prestigious event. Kepak Group is the first Irish meat processing company to launch an Irish beef retail brand in the USA. 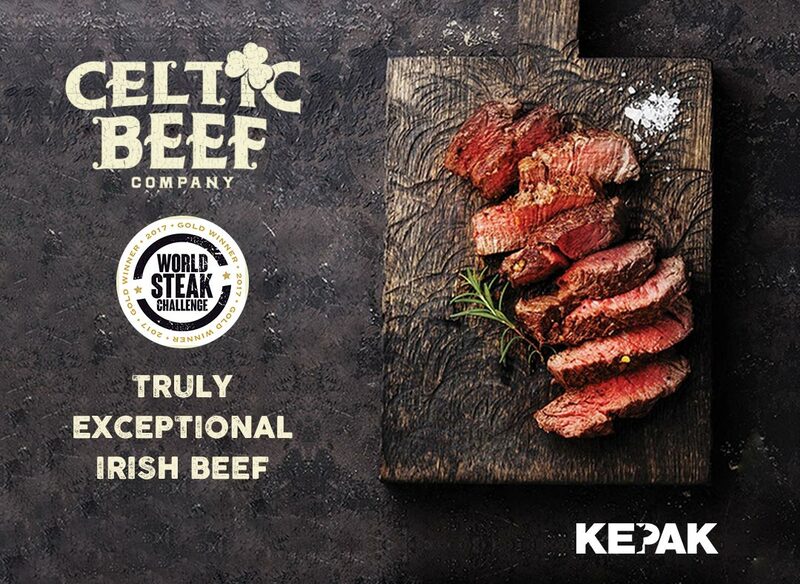 Speaking ahead of the event, Joanne Farrelly, Sales Director, Kepak North America, said: “Kepak is delighted to be supplying The Ireland Funds 26th USA national Gala this year with 100% Irish beef through its successful retail brand – Celtic Beef Company. In doing so, Celtic Beef Company has become the first ever retail brand to supply the prestigious event. “Kepak North America has been in operation for two years and we launched our brand, Celtic Beef Company, in September 2017. Since its launch, Celtic Beef Company has been a tremendous success and is achieving a premium within the retail market,” she added. Celtic Beef Company will also be supplying a range of other Irish-diaspora events in the US in the lead up to St Patrick’s Day. This will include the well-known Nantucket Dinner on Thursday, March 15th in Town Restaurant, Nantucket and the Kerrygold St. Patricks day lunch that Rory O’Connell will be cooking.